Personalised e-learning will continue to be brought to your homes in 2015! South Africa’s premier provider of study finance has extended its unique offering to the Southern African Virtual School (SAVS). Eduloan Chief Marketing and Sales Officer Charlotte Smit, says that e-learning is an important medium and at times the only suitable option through which a learner can obtain an education. “There are thousands of South Africans who have not completed their studies. There are even more that cannot take the next steps towards a tertiary education or qualify for available job opportunities because their secondary results have prohibited them. 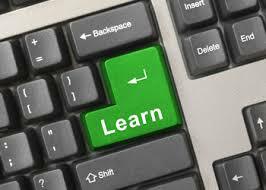 E-learning has now become the long awaited solution to the growing trend to home schooling. It further addresses the need of South Africans who wish to better their education – a new lease on life,” she adds. “E-learning satisfies these needs and already offers recognised value and convenience to current students. Eduloan’s extended offering to SAVS students brings with it the opportunity for easy and affordable access to study loans for e-students,” says Smit. The application facilities for this awesome funding partnership are available on both Eduloan and SAVS websites. Both institutions utilise technology as a means of reaching people, and like Eduloan, SAVS is also looking to expand into the rest of Africa. Just why Eduloan is so awesome for students looking at further horisons? There is a growing interest in the SAVS programme with the school boasting two South African students residing in China. Eduloan has filled the funding gap between the state-funded National Student Financial Aid Scheme (NSFAS) and commercial banks for the past two decades, and has agreements with a variety of educational institutions, including FET colleges as well as all universities and most universities of technology in South Africa.